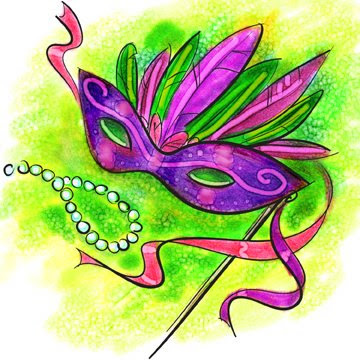 I am really looking forward to the Mardi Gras party that we are hosting Saturday night. The King cake has been ordered from a special bakery (curious to see who gets the baby), the beer is stocked and I have my menu prepared. I would love any song lists suggestions. . .I still need to get to the wine store and finish my food shopping. 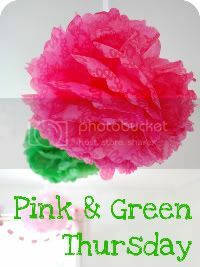 The decorations have been purchased, the girls will be over early to help decorate and get things set up. We also will be having two signature cocktails, green apple martini's and Carribean Cruise Punch as well as champagne and beer of course. I designed and made the invitations myself (and they were a lot harder and more detailed than I had planned) but of course I forgot to take a picture of them, I will see if one of the girls will for me. I have a new LBD that I plan on wearing along with my mask and boa. Really looking forward to the festivities though. Party is not until Saturday, but how are you celebrating Fat Tuesday? Any beads? How fun! What a party! You must show a recap! Happy Mardi Gras!! !